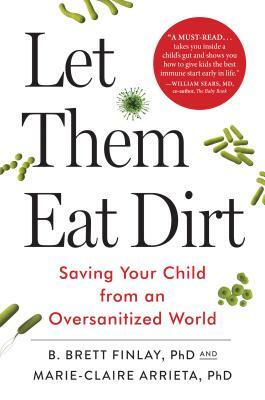 Like the culture-changing Last Child in the Woods, here is the first parenting book to apply the latest cutting-edge scientific research about the human microbiome to the way we raise our children. In the two hundred years since we discovered that microbes cause infectious diseases, we’ve battled to keep them at bay. But a recent explosion of scientific knowledge has led to undeniable evidence that early exposure to these organisms is beneficial to a child’s well-being. Our modern lifestyle, with its emphasis on hyper-cleanliness, is taking a toll on children’s lifelong health. In this engaging and important book, microbiologists Brett Finlay and Marie-Claire Arrieta explain how the trillions of microbes that live in and on our bodies influence childhood development; why an imbalance of those microbes can lead to obesity, diabetes, and asthma, among other chronic conditions; and what parents can do--from conception on--to positively affect their own behaviors and those of their children. They describe how natural childbirth, breastfeeding, and solid foods influence children’s microbiota. They also offer practical advice on matters such as whether to sterilize food implements for babies, the use of antibiotics, the safety of vaccines, and why having pets is a good idea. Forward-thinking and revelatory, Let Them Eat Dirt is an essential book in helping us to nurture stronger, more resilient, happy, and healthy kids. B. Brett Finlay, PhD, is professor of microbiology at the University of British Columbia and a world leader in how bacterial infections work. He has been studying microbes for over thirty years and has published over four hundred and fifty articles. Also a founder of the biotech companies Inimex, Vedanta, and Microbiome Insights, Brett is Officer of the Order of Canada—the highest Canadian civilian recognition. He lives in Vancouver, BC, with his wife, who is a pediatrician, and has two grown-up kids. Marie-Claire Arrieta, PhD, has been studying how intestinal alterations lead to several immune diseases since 2007. She has worked in the Finlay lab as a postdoctoral fellow for four years. During that time she has established herself as an outstanding researcher in the field of microbiota. Claire has combined her knowledge of microbes and immunology to lead a major clinical study on the role of the microbiota in asthma. She played a central role in building the bioinformatics techniques needed to analyze the microbiota from these clinical studies and has demonstrated that certain species of the intestinal microbiota from three-month-old children determine whether that child will succumb to asthma later in life. This seminal finding is a major reason for this book, as scientists in many other fields are now starting to realize that the early life microbiota plays a major role in diseases that present many years later. A mother of two, Claire is a tireless advocate of using scientific knowledge to improve the health of children. “What a triumph. This book should be read by every pregnant woman, every parent, every pediatrician. It's not just a great read but terribly important.” —Professor Margaret McFall-Ngai, Member of the National Academy of Sciences and Director of Pacific Biosciences Research Center, University of Hawaii.